For more information call (224) 677-0283. Want the best low cost credit card processing merchant account system for your business? Look no further than the popular PayPal system. 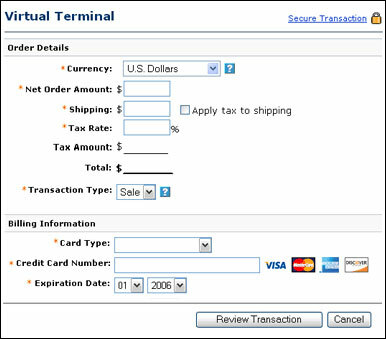 We know… you thought PayPal was only for online web based credit card transactions - right? And when you link this powerful merchant account program to our USBSwiper swipe credit card processing solution for PayPal, you get one of the most versatile and cost efficient point of sale credit card processing systems anywhere! Take a moment to read through the information on this page explaining all the benefits and Rates that PayPal will give you as your new merchant credit processing company. Want the best credit card processing merchant account and gateway for your business? Look no further than the popular PayPal system. USBSwiper is an Authorized PayPal Partner and we can offer you their credit card processing at phenomenal FLAT rates. Based on your credit card processing volume and when you apply for this program through USBSwiper.com, we can offer you 3 different rate plans for Visa / MC / Discover Cards. (American Express is 3.50% plus 20 cents per transaction). By applying for this program directly through USBSwiper and using the USBSwiper system in conjunction with this PayPal merchant account program, you will get lower rates than the rates you would get if you apply for this program directly through PayPal. These rates will be the same whether you are swiping the credit cards through our USBSwiper credit card reader and software or for manually entered credit card transactions entered through our USBSwiper software for transactions such as phone orders. The rates are the same for Qualified Transactions as well as Non-Qualified transactions as well. Also, if you want to use this same account for use as the merchant processing system on your website, you can use it with no additional gateway fees or costs! And because PayPal does not lock you into any contracts or subject you to cancelation fees, you can be assured you are dealing with a long recognized reputable company with no hidden fees or costs. You can sleep well knowing you are not being locked into any long term unfavorable contracts.